Reassurance shield after the 54 junction. 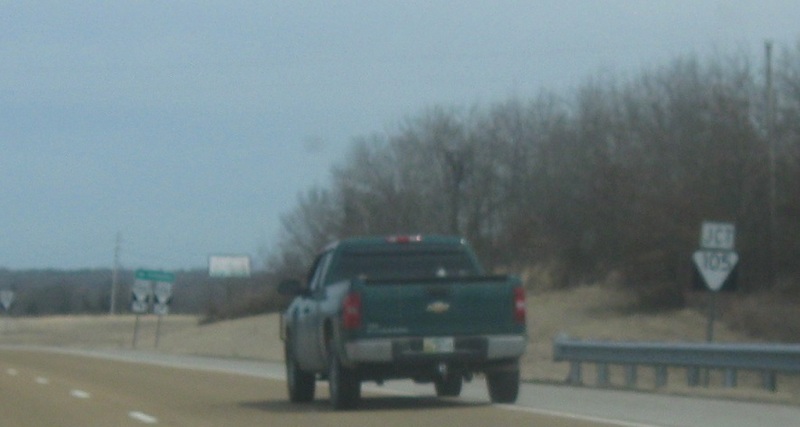 As we head out of Bradford, we’ll approach SR 105. Turn right for 105 east and unsigned 54 west into Bradford. 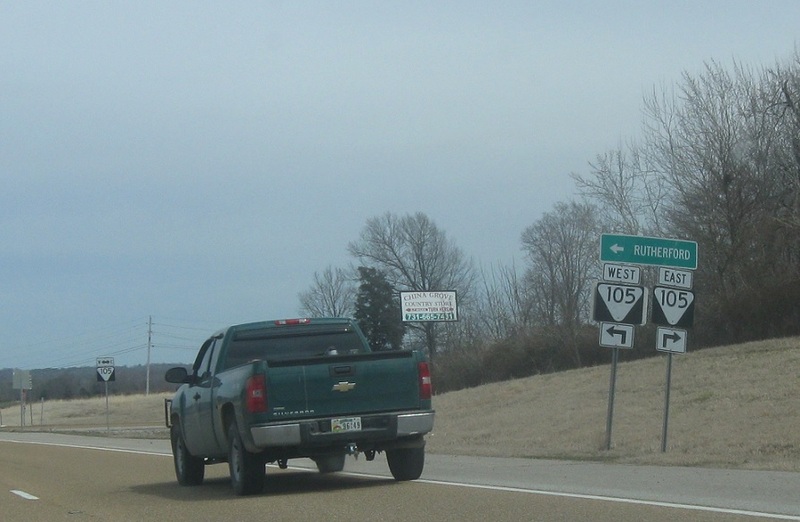 Turn left for 105 west to Rutherford. 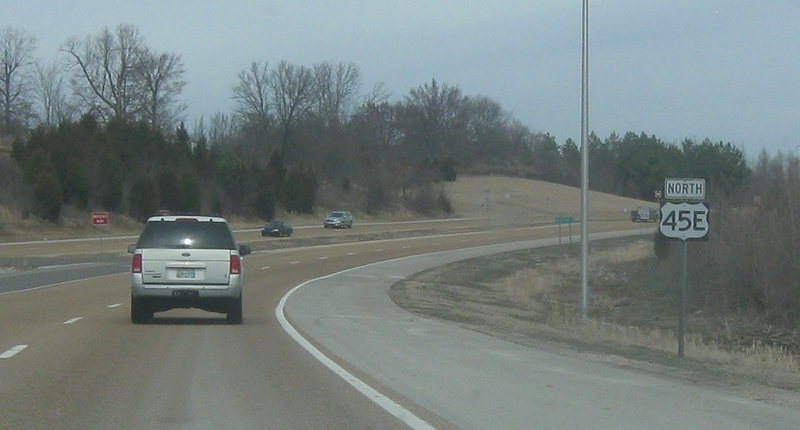 SR 54 east joins US-45E/TN-43.